The first public hospitals in New Zealand were set up by Governor George Grey to cater for Māori and poor Europeans. Medical developments such as anaesthetics, drugs and new equipment have made hospitals safer, but also more expensive to run. New Zealand’s first public hospitals were set up in the late 1840s to provide health care for Māori and poor Europeans. Most sick people were looked after at home, rather than going to hospital. Over time developments such as anaesthetics, antiseptics and better hygiene made hospital treatment safer and less unpleasant. New drugs to fight infections were discovered from the 1920s. A medical school, to train doctors, opened in Dunedin in 1875. Training and medical research began to be done in hospitals. From 1901 nurses were trained in a three-year apprenticeship based in hospitals. Because of its geothermal springs, Rotorua became popular for therapeutic spas, which are good for treating diseases such as arthritis. Until the 1940s, when drugs were available to treat tuberculosis, patients were treated in sanatoriums. There they got a lot of fresh air, sunlight and good food. Maternity hospitals, where women had babies, were set up around the country in 1904. Before this, women gave birth at home. 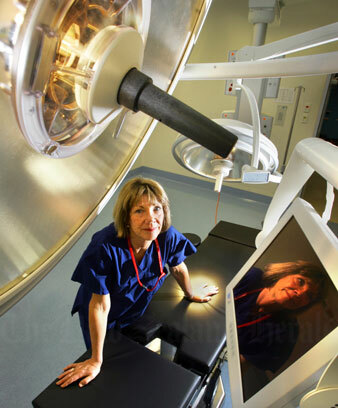 By the 21st century specialist services for women had been brought into general hospitals. From 1907 until the 1970s there were Karitane hospitals for babies and new mothers. Starship, in Auckland, was the only children’s hospital in New Zealand in the 21st century. From the 1970s many smaller hospitals closed, despite protests from local communities. As hospitals became more high-tech and more medical research was done in them, health advocates argued that patients’ rights were being undermined. After an inquiry into the treatment of patients with cervical cancer at National Women’s Hospital in Auckland, the position of Health and Disability Commissioner was created to protect patients’ rights. Early public hospitals were free for people who couldn’t pay, and for all Māori. In 1938 the government made medical treatment free for everyone. There were many private hospitals, where people paid to have treatment, often to avoid the long waiting lists for surgery in public hospitals.